The National Association of Police Equipment Distributors (NAPED) announce a new logo demonstrating their ongoing commitment to their membership and the public safety industry. 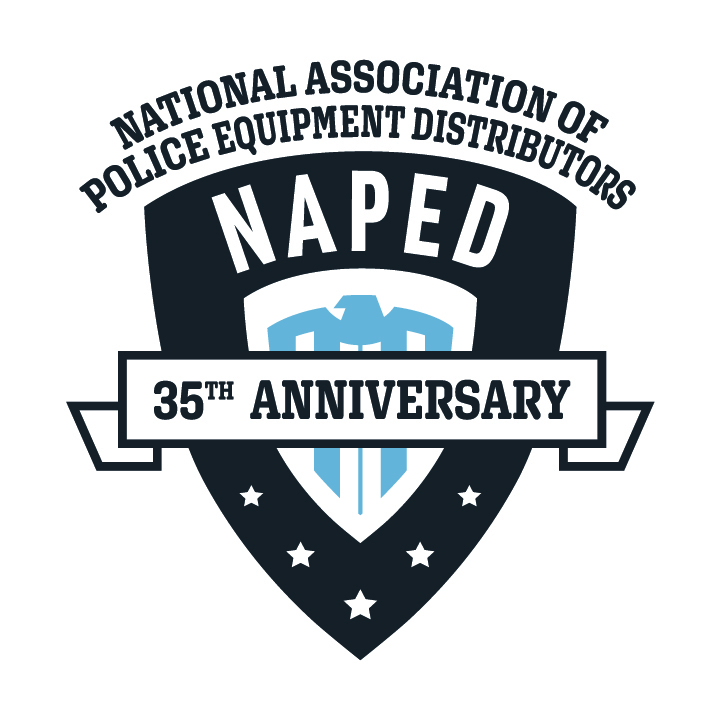 New Bern, N.C. (January 2019) – The National Association of Police Equipment Distributors (NAPED) celebrates 35 years serving the public safety industry by providing manufacturers and distributors a platform for consolidating and building business relationships. NAPED is proud to unveil a new logo paying homage to law enforcement and public safety with a modern badge like icon bearing a 35th Anniversary banner. As more companies come into the public safety sector, NAPED is there to bring their membership’s expertise in distribution, marketing, strategy, and executive management to new companies seeking to get an edge on the competition. With this in mind, in 2019, NAPED joins the National Uniform Manufacturers and Distributors Association (NAUMD) for a joint exhibition and conference. Promising to be the largest gathering of law enforcement and public safety companies and distributors, the event will be held April 7 – 9, 2019 in New Orleans. Like NAPED on Facebook at http://www.facebook.com/NAPEDGroup or on LinkedIn athttps://www.linkedin.com/company/national-association-of-police-equipment-distributors/. This entry was posted in NAPED and tagged Distributors, NAPED, police. Bookmark the permalink.